The historic Stowers Building in downtown Houston is being transformed into an Aloft hotel. The Stowers building is next to BG Group Place, a tower developed by Hines. Best Hotel Project of the Year – Thank God for developers who restore Houston’s historic buildings instead of tearing them down. 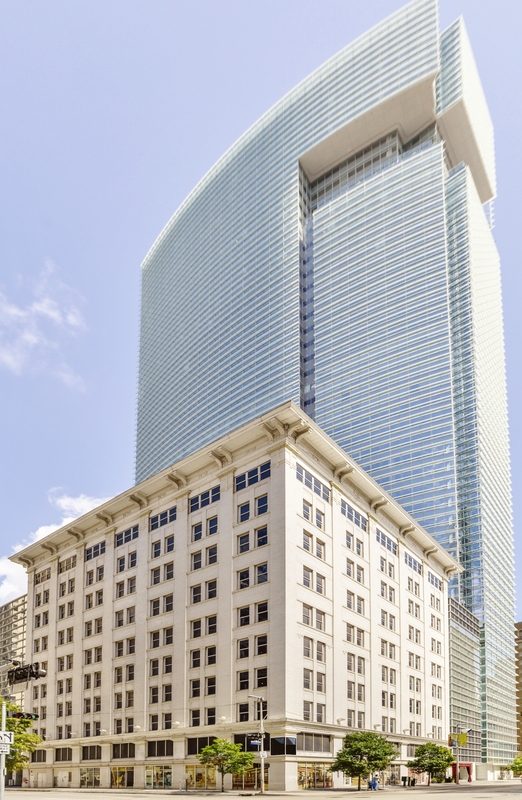 Built in 1913, the 10-story Stowers Furniture building, located at 820 Fannin in downtown Houston, is being transformed into a 173-room Aloft hotel. The developer is Bill Franks, who recently directed the historic redevelopment of a J.W. Marriott on Main Street. Over the years, Franks has played a huge role in saving and redeveloping many historic buildings.